Lake Sonoma 3333 Skaggs Springs Rd., (707) 433-9483. Free. This scenic spot hosts all manner of water activities--fishing, boating, water-skiing, swimming. 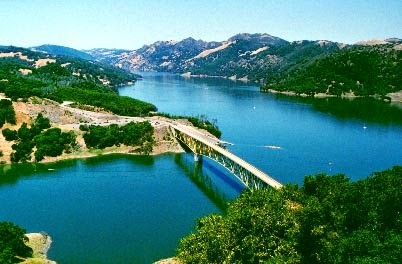 Everything from a canoe to a patio boat or houseboat can be rented from the Lake Sonoma Resort. Campsites are available. The Milt Brandt Visitors Center displays the area's wildlife and provides a self-guided tour through the Congressman Don Clausen Fish Hatchery. 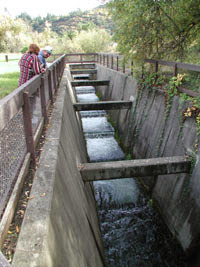 When the steelhead trout and salmon run here, usually from November through April, they can be observed using a man-made fish ladder. More things to do in Geyserville. More things to do in the Wine Country. More places to explore in Northern California.